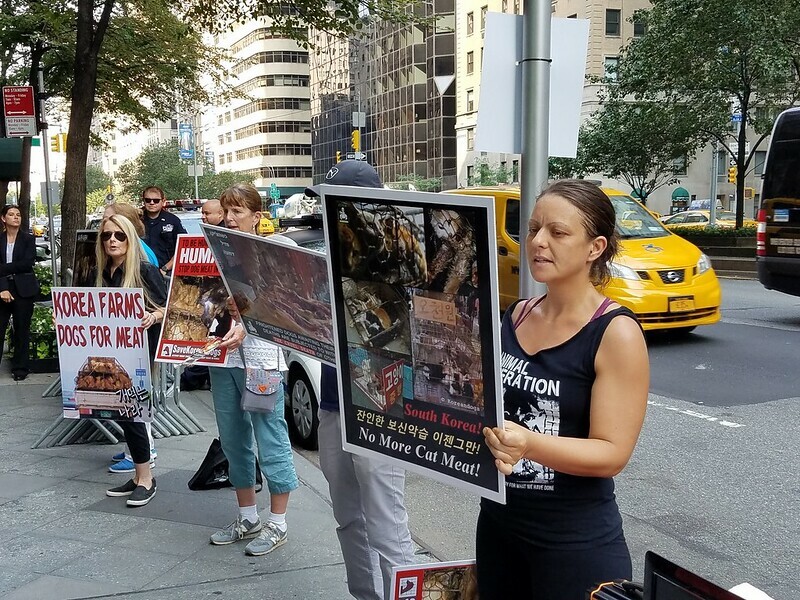 The Animals’ Battalion held a series of demonstrations in New York City, for the fifth year in a row. 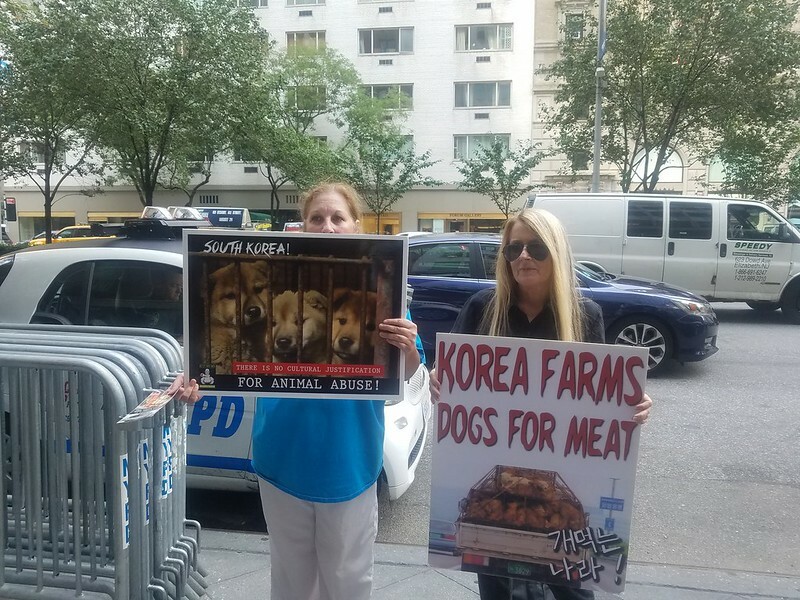 They demonstrated outside the South Korean Consulate, to make that government aware of how strongly we abhor their indifference to the mass cruelty and suffering inflicted on sentient animals, within the dog and cat meat trades; and also of the failure of their government to bring about an end to this evil trade which makes profits from the suffering of animals. Thursday, August 16, was Day 3. 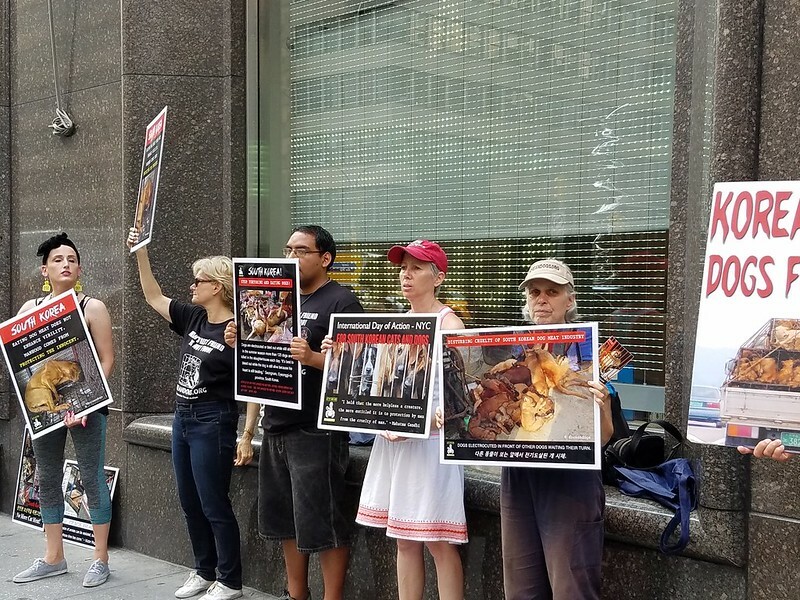 Thank you to The Animals’ Battalion for organizing this demonstration, especially Noelia and Roberto and all the dedicated animal advocates who came to help. 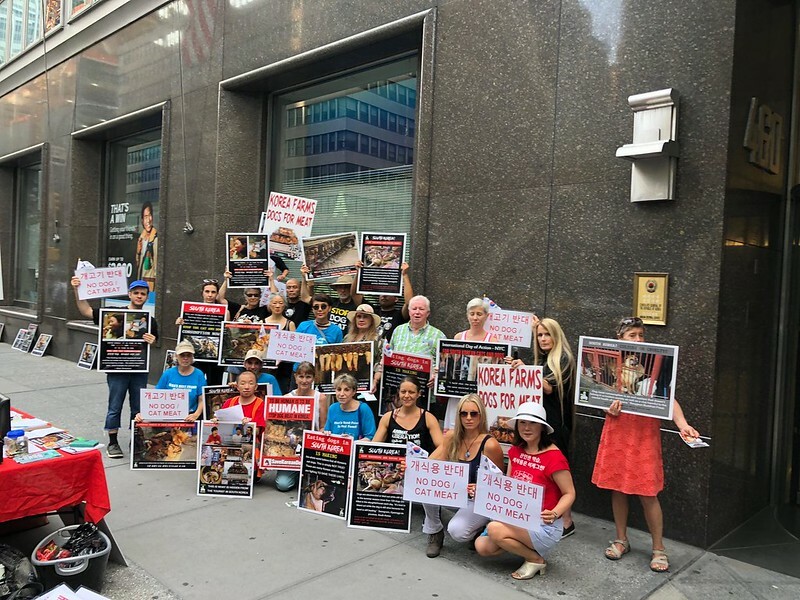 Thank you so much for standing up for compassion! 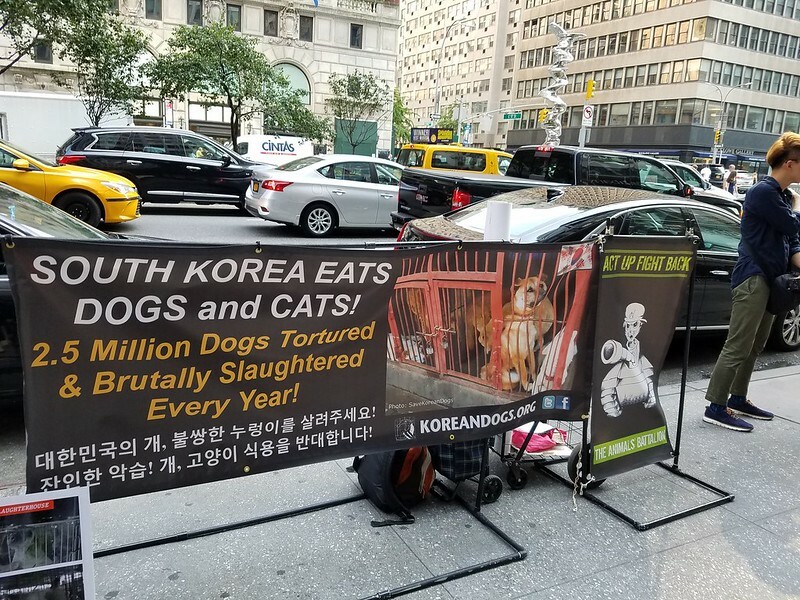 Click HERE for more info on The Animals’ Battalion 2018 ‘Boknal’ Demonstrations in New York. Click HERE to see more photos from The Animals’ Battalion’s Facebook page. Click HERE for the photos/videos from Day 1 Demonstration. Click HERE for the photos/videos from Day 2 Demonstration.